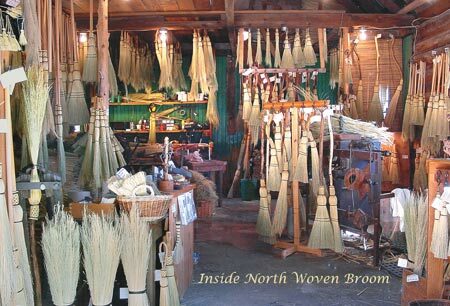 In our historic log barn, you can see thousands of brooms hanging from the rafters. Watch us handcraft our unusual brooms using antique broom making equipment. We encourage questions! 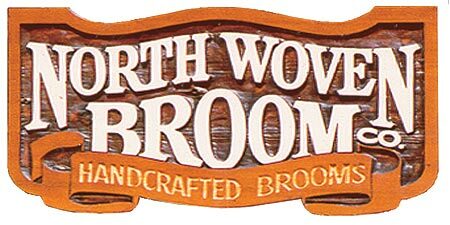 We make floor brooms, whisks, fireplace brooms, cobwebbers, golf shoe brushes and more, in a variety of styles and prices. Click here to see a seven minute video of us.